@arnabcebol is on Carousell - Follow to stay updated! 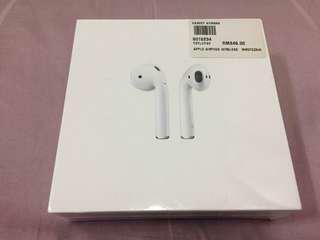 Brand new Apple AirPods, sealed in box. Price is negotiable. Location: Kuala Lumpur. Can COD around Ampang Park - KLCC area (preferably near LRT).